It takes a lot to stand out in the American full-sized pickup market. To compete, a truck has to work hard. It must be reliable, and it has to be ready to go wherever the job takes it. The RAM 1500 can do all this and more, and after a total redesign for 2019, it also delivers one of the finest interiors on the road. The 2019 RAM 1500 now comes with increased hauling and towing capacity, a lighter frame, and available mild hybrid systems to enhance torque capability. It’s also loaded with useful tech and interior features throughout its trim levels, and there’s a build fit for any task. The Rebel is the go-to-choice for off-road enthusiasts, with Bilstein shocks and four-wheel drive. The Laramie trim adds a number of comfort and convenience features to the base offerings, and the range-topping Limited trim is loaded with premium features that rival luxury vehicle offerings. If you’ve got work to do in the Fox River Valley and you need a tough pickup for the job, we’ve got you covered. At Sycamore Chrysler Dodge Jeep Ram, our automotive experts can help you find the right vehicle to get the job done. We also have a master-certified sales and leasing consultant on site to make the financing process simple and straightforward. Call or drop by our dealership today to take the 2019 RAM 1500 for a test drive. Crew and Quad Cab builds hold six in some of the largest seats in the class. There’s plenty of overhead space and legroom for adults, and there are also two complete sets of LATCH car seat connectors for young children. Vinyl materials come standard, but several trims offer cloth and leather upholstery. The new RAM 1500 has astounded drivers with its high-quality interior, and its list of premium features provides an assortment of convenient entertainment and driver assistance functions. The redesign called for a new, sculpted exterior to enhance aerodynamics. It also gives the RAM 1500 its boldest grille to date. The re-engineered tailgate now opens via two doors to make access to the truck bed much easier. Over the back tires, the available RamBox storage areas provides extra cargo space alongside the bed, covered with a durable lid with interior lights. The bed itself has been expanded to 61.5 cubic feet. The RAM 1500 is a class-topping work truck. When properly outfitted, it can haul 2,300 pounds of cargo and tow a staggering 12,750 pounds. Despite its size, the truck takes twists and turns with confidence and its street and highway handling is effortlessly smooth. The RAM 1500 can also negotiate tough terrain, and if you plan on heading off-road often, consider the Rebel trim with its added performance features. Drivers can power their truck with the standard 305-horsepower V6 engine, or a 395-horsepower V8, both paired with automatic transmission. You may opt for an available eTorque system to boost performance. Why Buy or Lease the RAM 1500 at Sycamore CDJR? 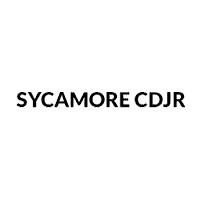 At Sycamore CDJR, we’ll make sure you drive home in the exact vehicle that suits your needs, whether it’s the rugged RAM 1500 or any other pickup truck, SUV, or car. Feel free to check out our inventory online today. When you see something you like, we welcome you to visit to our showroom in Sycamore. We’d be happy to talk with you about our new and pre-owned vehicles. Don’t forget to ask about our specials!